The fuel tank is essential to a vehicle's operation, but it can also be a source of disaster when it comes to severe accidents. When individuals inside a vehicle involved in an accident are able to survive the trauma of the accident, it does not always mean that they are safe after the crash. If the fuel tank is punctured, it can cause a sudden fire inside the vehicle which can make it difficult for injured passengers to be rescued from the vehicle, resulting in severe injury or death. If you or a loved one was involved in rollover accident that led to a fuel-fed fire, you may be entitled to financial compensation from the vehicle manufacturer. Contact the Willis Law Firm today at 800-883-9858 for more information on your rights and how you may be able to obtain compensation for medical bills, physical trauma, and emotional damage. 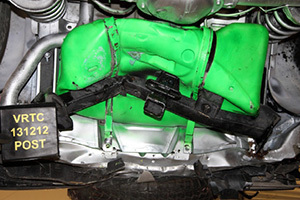 Placement of the fuel tank can have a huge impact on how likely the fuel tank is to be punctured during an accident. Many vehicles still place the fuel tank behind the rear axle, which can easily cause the fuel tank to become punctured when the rear of the vehicle is impacted. This causes fuel to spill while sparks fly, typically igniting a devastating fire. Although many vehicles place the fuel tank in front of the rear axle, there is still a possibility of fuel tank puncture. Vehicle manufacturers must make efforts to install the fuel tank in the most secure place possible in order to prevent further injuries and death. The Willis Law Firm is committed to helping individuals who have been injured in accidents involving fuel fed fires obtain the compensation they may deserve. To speak with someone who may be able to help, contact the Willis Law Firm today at 800-883-9858.